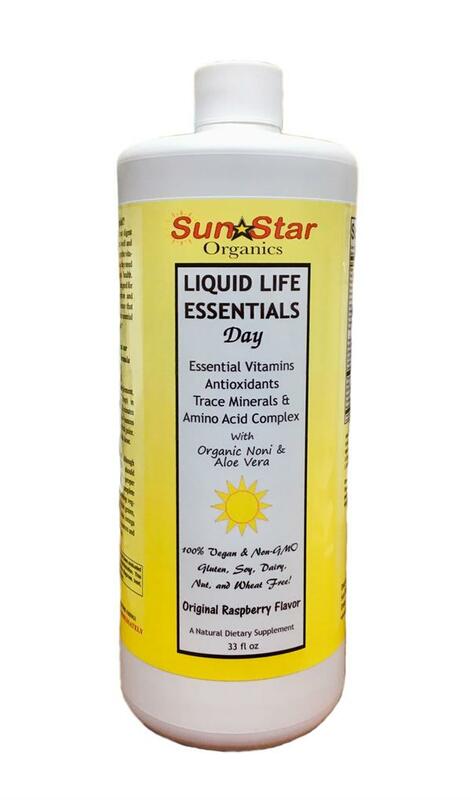 Essential Vitamins, Antioxidants, Trace Minerals & 20 Amino Acid Complex; In a Base of Organic Noni Juice Concentrate, Organic Whole Leaf Aloe Vera Juice, Organic Grapefruit Seed Extract Concentrate, and Organic Grape Seed Extract Concentrate. The ONLY sweetener we use in our formula is our very own Raw, Certified Organic Agave Nectar. 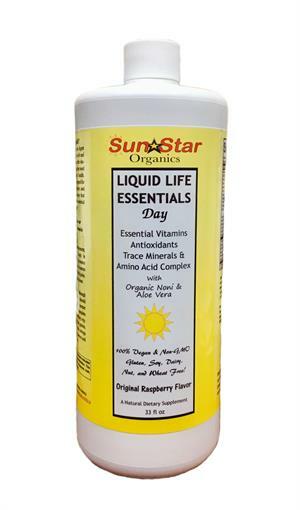 Liquid Life Essentials Day is a liquid vitamin, mineral drink that has been designed to help give your body the essential nutrients it needs. We have used only the very best ingredients in our formula. Why Liquid? Most people do not digest their food all that well and therefore do not get the vitamins and minerals they need to maintain good health. This formula is designed for maximum absorption and assimilation to ensure that your body gets the essential elements it needs. Rich with antioxidants, Noni Juice has been know provide immune system support, increase mental clarity and attention span, boosts energy levels, and promote healthy liver and joint function. Vitamins are essential to the normal functioning of our bodies. They are necessary for our growth, vitality, and general well being. Minerals are the regulators of all metabolic functions within the body. They are the electrical conductors of energy production. Without minerals, with their mind and bodybuilding powers, all other nutrients are unable to perform their functions. Amino Acids are essential for building strong muscle and tissue. *Also, try our LLE Night Formula with CORAL CALCIUM, major & trace minerals, vitamins, and MSM.